Our philosophy on funeral care is simple; “Whatever needs doing we are there for you”. We provide total support, total service and total care. Our goal of ‘total care’ stems from a genuine desire to help and provide complete support for the bereaved family, eliminating as much of the stress as possible. 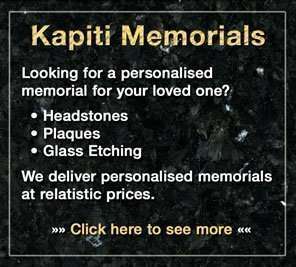 Our role at Kapiti Coast Funeral Home is to create the perfect funeral for your family’s need, from the traditional to the highly personalised organising and coordinating all that is required to achieve this for you. and beyond (through our free bereavement support services). Whenever you phone, whatever the time, a staff member will be available to answer your call. Funeral Directors Association of New Zealand. As a NZIFH member our pledge is – to empower, to support, to advise, to respect and to be transparent. Choosing an FDANZ member gives immediate assurance of high quality standards and the very best in service and caring.